Just occasionally I get to have meetings in amazing places. Today was one of those days. 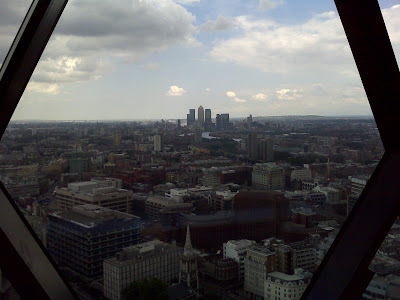 Here is a view from the top of London’s Gherkin building, due East towards the towers of Canary Wharf. London really is a great city.